Congratulations on launching your new website and we wish you tremendous success! Hope you have optimized your website. Wait a minute…what do you mean by “optimized your website”….Ah!!! So you do not know about search engine optimization (SEO)? You will find hard to sustain your business, if people cannot discover your innovative products/services online, and this is where SEO comes into play. Implement these top 10 SEO techniques in your marketing plan to get noticed and boost your profits! As a budding or a seasoned entrepreneur, your marketing plan must begin with identifying a couple of high-ranking SEO keywords for optimizing your website. You may want to use Google Adwords Keyword Tool to get suggestions. Remember to include potential keyword phrases that your customers are feeding into the search engines. You can determine them by analyzing the search volume statistics displayed by the Google Adwords Keyword Tool (or any reliable keyword research tool). You must include keywords that are low on competition, because such keyword phrases offer you an exclusive and high probability of being discovered when users feed the phrases to engines. Upon identifying the relevant keywords use them in Meta Tag, Title, Headings Tag, and content body to gain the benefits of SEO. However, over stuffing of keywords would pull down your website ranking, so be alert! Begin your branding process at your earliest. Start with designing the company’s logo, tagline, promotional content, and color scheme, and use it across all broadcasting channels on the Web that you intend to use. If branding is not your cup of tea, hire a digital marketer or a graphic designer to create and build your brand and strengthen your web presence. Online branding and PR submission is best SEO techniques to generate backlinks from reputed sites. Publishing latest industry news, blogs, product updates, and helpful tips regularly on your website will earn you traffic. The content writing of your website is the most crucial part of your online business campaign which gives a clear idea of your services to your target audience.To your content, add long and short-tailed keywords and their variations to witness your website traffic increasing by double digits. Keep updating your content regularly. Content strengthens the relationship between your targeted audience and you. Since, bounce rate and time spent on website dominate the search ranking algorithms, therefore, it is important to share informative, interesting, and valuable content to improve you rank on the search engines (SERPs). Popular search engines (Google, Bing, Yahoo!) recognize the importance of social signals, brand mentions, and link shares, which plays a pivotal role in organic SERPs rankings. Subsequently, maintaining a presence on the social networks (FaceBook, Twitter, YouTube, Pinterest. LinkedIn) is critical for your brand recognition and success. You must invest 20 minutes daily posting on social networking sites and interacting with your followers. Alternatively, hire a digital marketer to do the job for you. Being active on social networks is important, but you must take a step further- connect with “influencers” to significantly improve the traffic on your website. Influencers are people who have a significant number of followers on the social network and their general power in your industry can help you build your business. You need to identify the influencers and allow to build your relationship naturally with them. For that you need to send them helpful links or comment on their blogs, eventually sending a share request of your business website. Measuring the success of your website or E-Commerce store regularly is critical for improving the success of your company. Installing FREE and reliable statistical tools like Google Analytics will build wealth of credible information that you can use to improve the conversion rate of your website. Once you begin to receive valuable information from Google Analytics tool, it is time to establish and prioritize website goals. 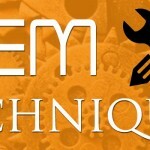 For that, you must install event-tracking features to evaluate the performance of your site. Discuss with your developer and resolve the coding issues of your websites. 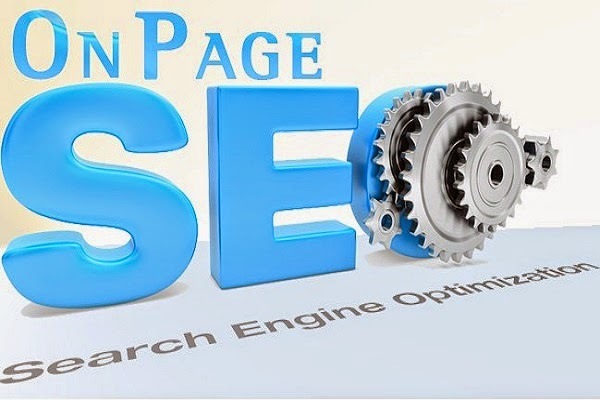 With the help of on-page SEO person make sure that all SEO parameters are in place (for example: xml sitemap, robots.txt file, css files, increase lad time, etc.) Search Engines loves the error free sites and rank them on top. Optimizing your website is only half the battle won; you must invest in link building process to take your efforts forward. Link building significantly contributes to quality social signals that dominate the SERP rankings. 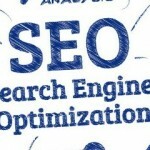 Therefore, it is important to improve your SEO score by focusing on organic link building. Use tools such as Majestic SEO or the Open Site Explorer to analyze how your competitors are obtaining their backlinks. Use the data to assess the potential linking sources and discover missed link opportunities that will help you to outrank your opponents on search engines. Writing a blogpost as a guest author will help you connect with other websites in your niche and you can request for a backlink to your website. As you begin to collaborate with the influencers, you begin to receive qualified and relevant high traffic, driven by superior quality backlink. With a few interesting and valuable guest posts, you can significantly improve your ranking and gain traffic inflow. Announce your company’s new product/service launch, any mergers/acquisitions, or any other worthy news with Press Release. You can use a distribution service like PRWeb to promote your website, while gaining traffic. Use these guaranteed techniques to improve your brand’s visibility, gain traffic and eventually makes sales. Have more suggestions, please share with our readers.